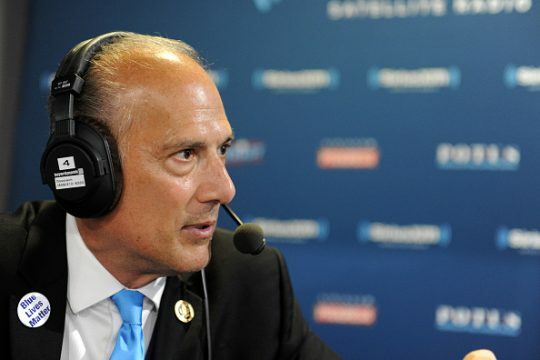 Rep. Tom Marino (R., Pa.) announced Thursday he would resign from Congress, effective next week. Marino said he would be leaving Congress on Jan. 23, just days into his fifth term, to work in the private sector. "Having spent over two decades serving the public, I have chosen to take a position in the private sector where I can use both my legal and business experience to create jobs around the nation," Marino said, according to the Daily Item. "I want to thank the people of the 12th Congressional District of Pennsylvania for the faith they have placed in me to represent them in Congress. It truly has been one of the greatest honors of my life." Marino strongly supported President Donald Trump during his 2016 presidential campaign, and he earned warm words from the president. Trump previously nominated Marino to be his "drug czar" at the helm of the Office of National Drug Control Policy. Marino, however, withdrew from consideration in October 2017 after a PBS and Washington Post report found he supported a bill that would have limited the Drug Enforcement Agency's ability to regulate the spread of opioid. Trump tweeted his support for the congressman after Marino withdrew. Marino is a lifelong Pennsylvanian. After being nominated by President George W. Bush in 2002, he served as the U.S. attorney for the Middle District of Pennsylvania. This entry was posted in Politics and tagged Congress, Resignation. Bookmark the permalink.